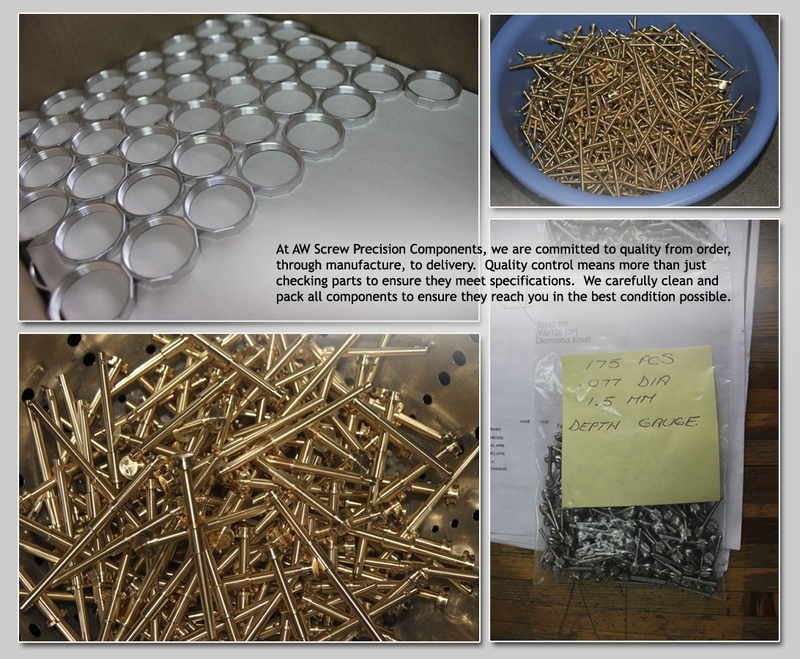 AW Screw Precision Components is a company that you can rely on to help you meet your customers' needs. Subcontract that work to us. Our CNC Swiss shop is optimized to machine precision components from 0.25 mm (0.010”) to 32mm (1.250”) in diameter with tolerances to plus or minus .0025mm (0.0001”). You can trust us to deliver the highest quality parts, quickly, and at a price point that provides a good, perhaps even better, margin than if you did the work in-house. Our Citizen Swiss CNC machines, run by experienced and highly skilled programmers and operators, produce precision parts to the highest standards required by a variety of industries, from medical/dental to military. See our portfolio for samples of our work. Let us do the work that slows down your shop, and maximize your resources for the work that earns you the most!